Pioneers in the industry, we offer desalination equipment, reverse osmosis equipments and industrial ro system from India. 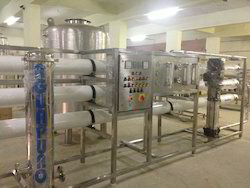 Desalination Equipment is used for precise pretreatment process for removal of salts and minerals from the seawater using Reverse Osmosis. We have gained expertise in offering high-quality Desalination Plant to the esteemed customers, as per their requirements. These plants are fabricated using the genuine quality raw material, procured from some of the most trusted sources. Moreover, we check these plants on certain well-defined parameters to gauge their flawless nature. These systems are available with Pre Treatment of Filtration, Micron Filters as a standard system. However, systems are also supplied with Iron Removal Filters, Carbon Filters and Water Softeners etc. systems are available for flow rates from 200 Lts/hr up to 100 M3/hr and more. The systems either fully automatic or Manual operation depending on customer requirement. Aguapuro provides Membrane Cleaning system as an optional. System comes with the Product water quality measurement instruments like TDS or Electrical Conductivity meters, pH meters (optional) ORP meters etc. aguapuro offers system with membranes of either Hydranautics, Dow and High Pressure Pumps of Class 1 efficiency of Grundfos. the systems are pre assembled and does not require long time for Installation and commissioning. We offer a wide variety of products used in Industrial RO Systems such as portable water generation, Brackish water, sea water desalination and effluent recycling etc. 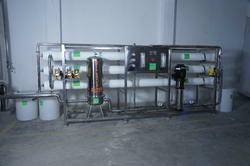 We bring a combination of RO & UF system for the power plant, pharmaceutical & high-quality process water. Neutech offers a wide range of packaged drinking water system ( mineral water plant ). 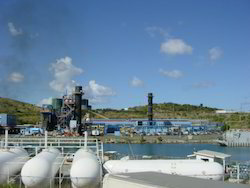 For large-scale plant complete turnkey solutions offers.